Griffiths leads a culture where everyone understands that health, safety and well-being comes first. 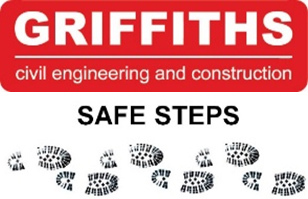 This year we will continue to build upon the foundations laid by the Safe Steps Behavioural Safety Programme. A real focus will now be placed upon the key areas identified from our workforce, including new and improved procedures, enhanced engagement and superior quality personal protective equipment. We will continue to support all staff to challenge unsafe behaviours and not walk by. Our Personal Commitment Card will empower anyone to stop any unsafe activity. Health and wellbeing awareness will be increased by our regular health monitoring and specific campaigns. 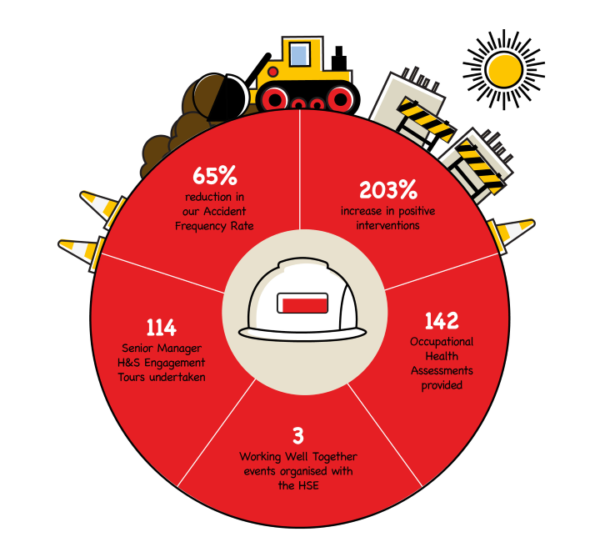 2016/17 HighlightsIn spring 2017 we were awarded our 11th consecutive RoSPA Gold Award and achieved 2,000,000 man-hours without a reportable accident.We are seeing the continued benefits of our ongoing Safe Steps Behavioural Safety Programme. Our annual Accident Frequency Rate of 0.07 is our lowest to date and something we are striving to reduce further. The support we provide to improve the health and wellbeing of our people continues to increase. 14 project specific health and wellbeing programmes were delivered, we are working with Time to Change Wales to deliver mental health awareness training and we have now invested £26k in our Bike2Work Scheme.